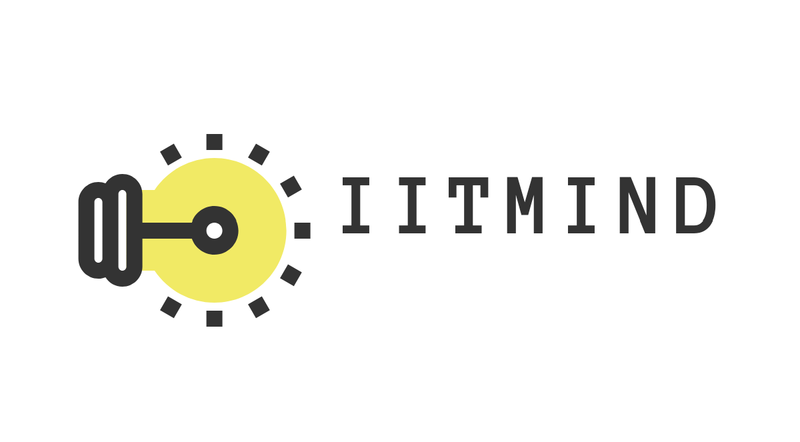 In this post, i am going to share an interesting trick which will be helpful for every IITJEE aspirant. And also for other students too. It's clear that we all uses google to find the query of any question comes in our mind. 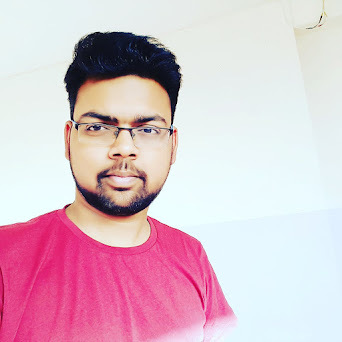 During the preparation of JEE, we came across a lot of definitions and define terms. To understood the meaning of them, mostly of us visit to Wikipedia, where we gets the meaning of it. But sometimes it shows a "Complex" and "Insufficient" meaning of it. I mean look at the below image. 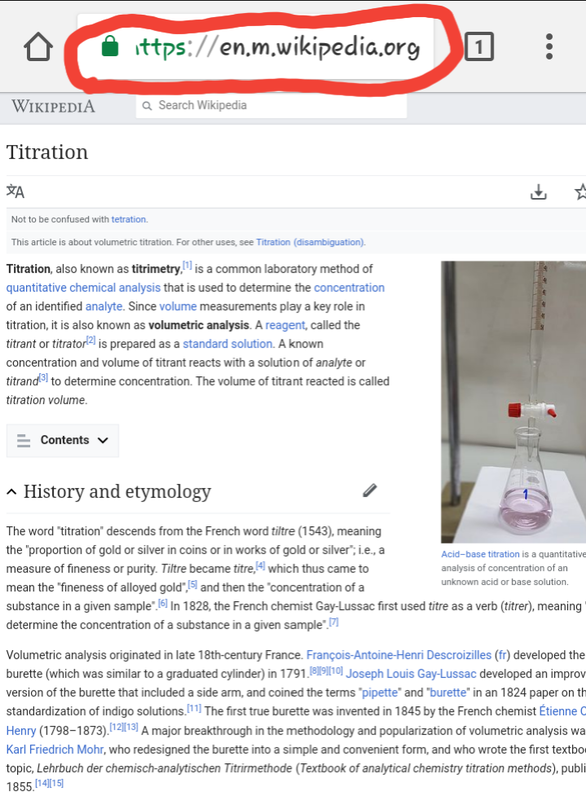 If you carefully zoom it and read it, you will find some difficulties in understanding the meaning of "Titration" here. Also the information provided in this page is not sufficient. 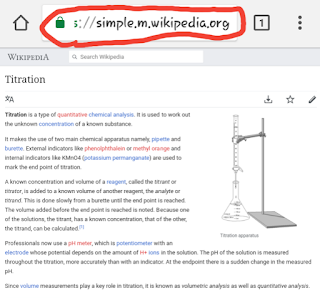 If you carefully look at the top,you will find that the url of Wikipedia starts with "en". 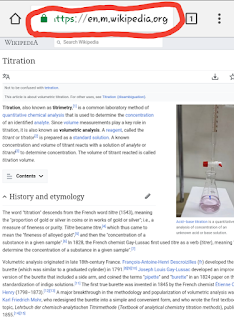 For example- here in this page, it is showing "en.m.wikipedia.org/titration"
Now suppose if you are not getting what is mentioned and is not clear to you. Then a tricky part is here. You just have to change the "en" part of url to "simple". 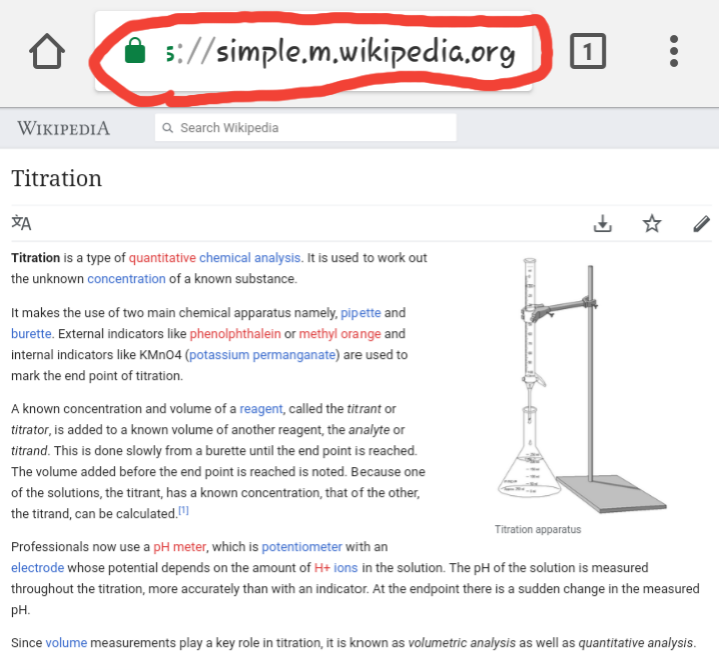 For example: suppose the url of any page in wikipedia is like "en.m.wikipedia.org/titration" then just change the "en" into "simple" so the new url will become "simple.m.wikipedia.org/titration" and you will get a very simple and easier definition or its meaning in a very proper and explained way. Look at the below image.